Thought you might like this one – I will try with butterfly and let you know if successful. Beautiful, stunning, gorgeous! Love it! 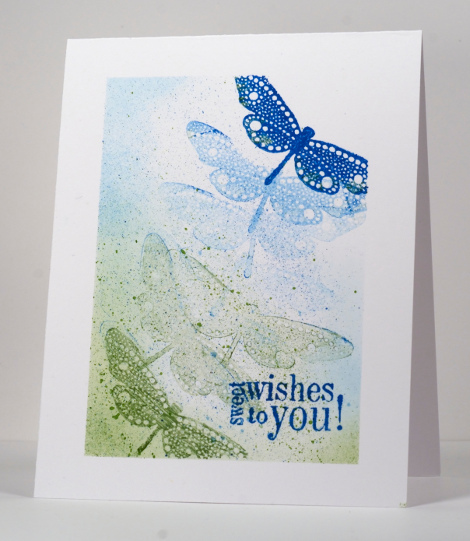 The depth you can create on a one-layer card always astounds me, Heather. This is beautiful. Lovely one layer…really looks 3-D! Great job Heather!!! I wanted to participate in this challenge last month, but I didn’t make it. Will have another go this month. Your card is such an inspiration. Gorgeous one-layer card! Gorgeous card! Love the background and generational stamping!